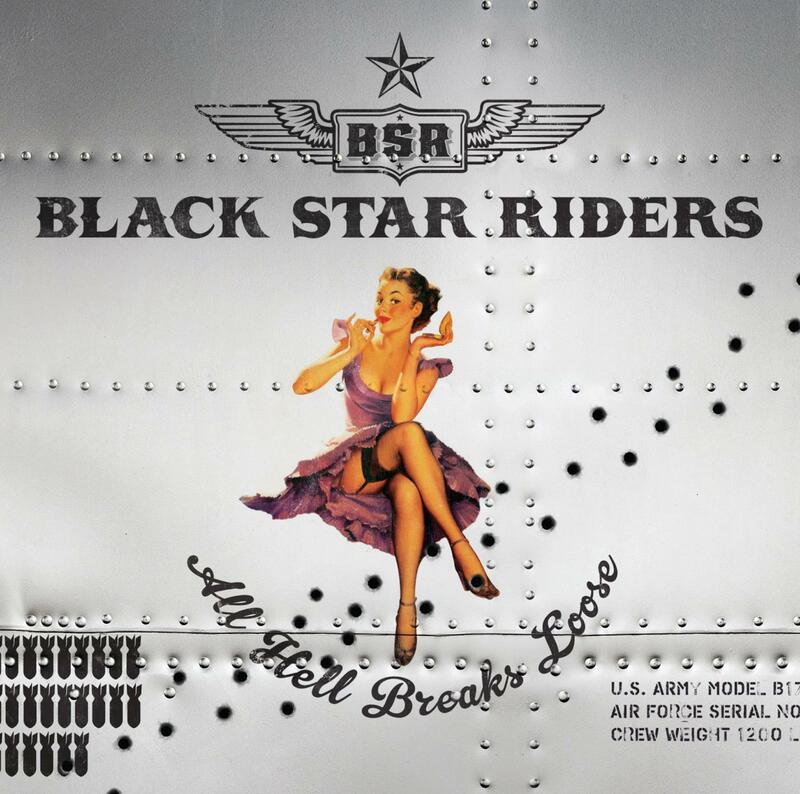 Yes, another Black Star Riders story; and why not? The new-Lizzy line-up has unveiled the impressive new art-work for their forthcoming debut album, All Hell Breaks Loose. Below is a blurb about the art-work and its origins that the band themselves posted earlier this morning. All hell breaks loose hits shelves in May, not June as previously reported by stupid Tickets There minions (me…the editor, owners and guru extraordinaire). ‘The artwork features a painting by Gil Elvgren (March 15, 1914 – February 29, 1980), the legendary US painter best known for his work on pin-up girls, advertising and illustration. Last week, Black Star Riders released the first song from the new album, ‘Bound For Glory’, which you can listen to below. This entry was posted on March 28, 2013 at 2:42 pm and is filed under Music, News with tags All hell Breaks Loose, Black Star Riders, Bound for Glory, Ricky Warwick, Thin Lizzy. You can follow any responses to this entry through the RSS 2.0 feed. You can leave a response, or trackback from your own site.